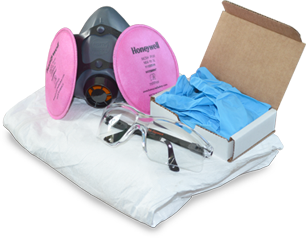 Get the complete protection from mold exposure needed with the Biocide Labs Mold Safety Kit. We offer the same equipment to the general public that a professional remediation company would use to get the job done. In this kit is everything you would need.